The Heysen Trail through the Deep Creek Conservation Park will be closed from 6.00 am Monday 13 May to 12.00 am on Friday May 17, 2019. The purpose of the closure of the entire conservation park is to protect public safety during an Aerial feral animal control program. Campsites and other walking trails in The Deep Creek Conservation Park will also be closed during this time. The trail will be closed between Blowhole Creek and the eastern boundary of the Deep Creek Conservation Park, Tunkalilla (end of McGregor Rd track). Warning signs and trail closure signs will be placed at several locations along the trail and at the western and eastern approaches to the park. The Fire Danger Season for the Mt Lofty Ranges has been extended to May 12, 2019. This animal control closure from May 13 to May 16 effectively delays the 2019 Heysen Trail opening within Deep Creek Conservation Park to Friday May 17, 2019. If you have any enquiries, please call Victor Harbor Natural Resources Centre on (08) 8552 0300. Further information can be found on the Parks SA Alerts page. Mt Lofty Ranges Fire Danger Season extended to May 12, 2019. Walkers are asked to observe extension of the fire danger season. 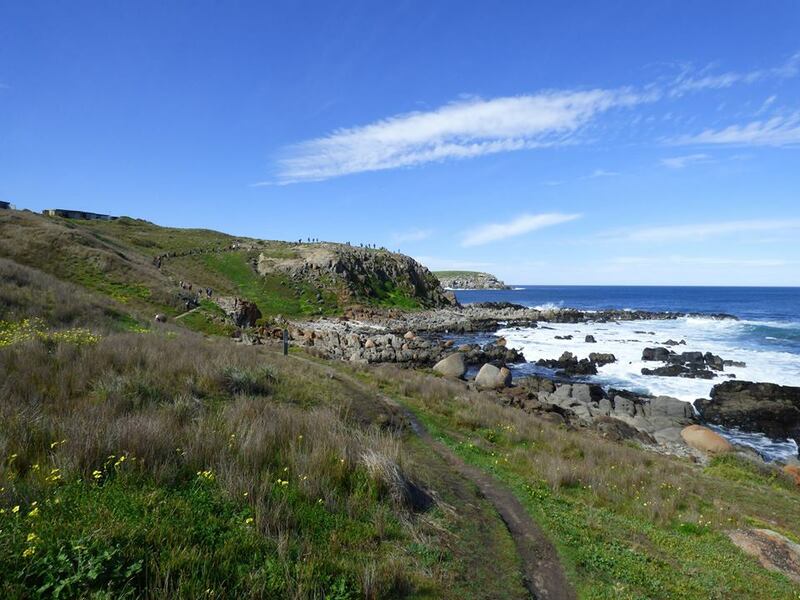 Closure of the Heysen Trail between Cape Jervis & Tanunda extended until 13 May 2019. The Country Fire Service (CFS) has extended the Fire Danger Season for the Mount Lofty Ranges. This is due to lower than average rainfalls combined with higher than average temperatures. This means that most sections of the Heysen Trail south of Tanunda will not be open until May 13, 2019. There is also a 4-day closure in Deep Creek Conservation Park that will extend the opening of the Heysen Trail in the park to May 17, 2019 – this closure is from May 13 to 12.00am Friday 17 May, 2019 and is to protect public safety during an Aerial feral animal control program. You are required to defer walks in these areas until further notice. You can find information about the extension of the fire danger season in the Mt Lofty Ranges District on the CFS website. 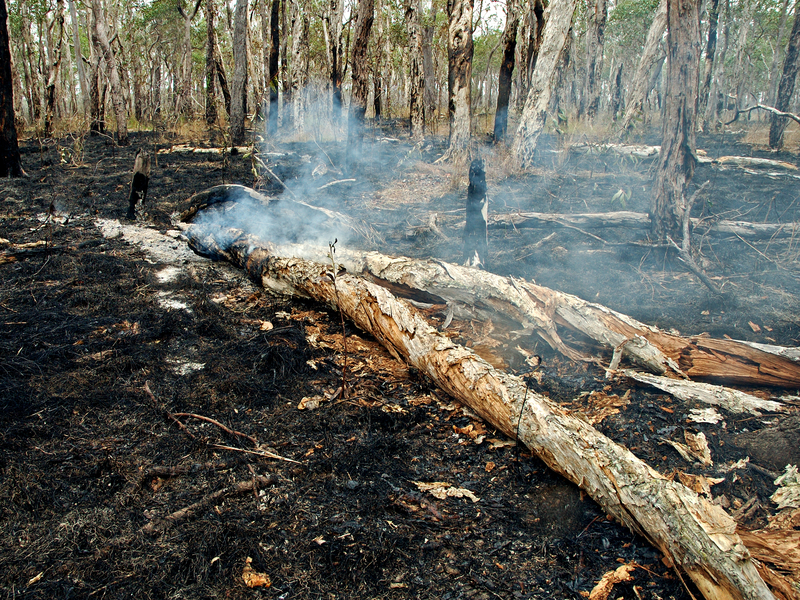 Mid North District Fire Danger Season to end after 30 April 30 2019. The CFS has confirmed that fire restrictions affecting the section of the trail north of Tanunda and south of the Wirrabara Forest will be lifted on May 1 2019. Flinders Fire Danger Season continues through to 15 April 2019. Fire restrictions in the Flinders District continue until April 15 2019. This means that walkers will be able to use the Heysen Trail north of Wirrabara Forest on 16 April 2019 . This section includes Melrose, Wilmington, Quorn, Hawker, Wilpena Pound, the Ikara-Flinders Ranges National Park through to the northern end of the trail at Parachilna Gorge. Some sections of the Heysen Trail may still be open to walkers prior to the cessation of the fire danger periods. The sections that remain open are principally those not on private land. These include public roads, Conservation Parks and Reserves, Forests and vacant land. Please note that Conservation Parks and Reserves and Forests are closed on days of Total Fire Ban. The CFS publishes these bans, as does the Bureau of Meteorology. In addition, the media also broadcast weather reports including fire ban information. As a result, if you want to walk on the trail, check which Fire District you will be in. The Fire Districts are listed on the Fire Danger Season page of the Friends website and on the Google map. We strongly advise you to respect the rights of landholders. Please restrict any activity which may increase the risk of fire in this period and potentially inhibit continued walker access to the trail. Telowie Gorge Conservation Park closure affects access for Heysen Trail walkers. Telowie Gorge Conservation Park will be closed from 6am Saturday, 16 February 2019 until 6:00 pm on Friday 22 February 2019. Walkers will not be able to use the Heysen Trail in this area. As the fire danger season has commenced, walkers should be aware that most sections of the Heysen Trail are already closed. However, as this section of the Trail passes through a Conservation Park, walkers would normally still have access unless a total fire ban has been announced for the day. The Park closure is for the purpose of undertaking a pest control program. 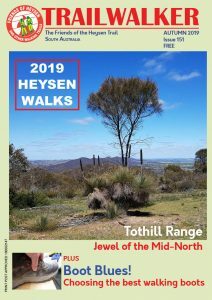 The Telowie Gorge Conservation Park is found on Heysen Trail Sheet Map 6A and Map 2.7 of the Heysen Trail Northern Guide. Walkers intending to use the Heysen Trail in that area in the next week need to be aware of this closure. Closures of Ikara-Flinders Ranges National Park to affect Heysen Trail walkers. 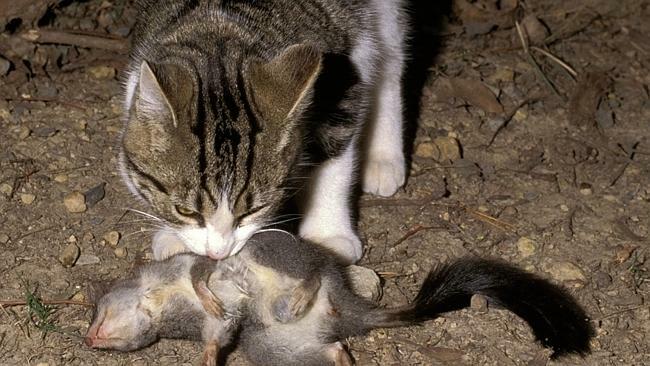 Feral animal control continues in the Ikara-Flinders Ranges National Park. The Department for Environment & Water has advised that there will be a series of closures affecting the Ikara-Flinders Ranges National Park over the coming months. The Park closures are for the purpose of undertaking and monitoring a pest control program. The first closure will occur next week and will affect Heysen Trail walkers. As we are now in the fire danger season, walkers should be aware that most sections of the Heysen Trail are closed. However, as the Trail passes through the Ikara-Flinders Ranges National Park, walkers would normally still have access, unless a total fire ban has been announced for the day. During the closure, there some areas of the park will remain open. Refer to the Parks Alert page for further information about this closure. Evening/night time closures will continue through to Monday, 30 September 2019. A number of tracks within the Ikara-Flinders Ranges National Park, will remain closed each night until the end of September 2019. The current feral animal control program has been extended, so walkers are advised to exercise caution in the area. The purpose of the extended closures is to ensure the safety of the public during a feral cat control program to be conducted after dark. The aim is to protect the populations of recently reintroduced Western Quolls and Brushtail Possums. The list of trails and tracks that will be closed can be found here. The tracks and walking trails will remain open outside of these times. camp within 20 metres of the Heysen Trail within the park after dark. If you are camping in the park, you may see spotlights and occasionally hear firearms in the distance at night. The Rangers have advised that the control program will not take place in the vicinity of campgrounds or huts. 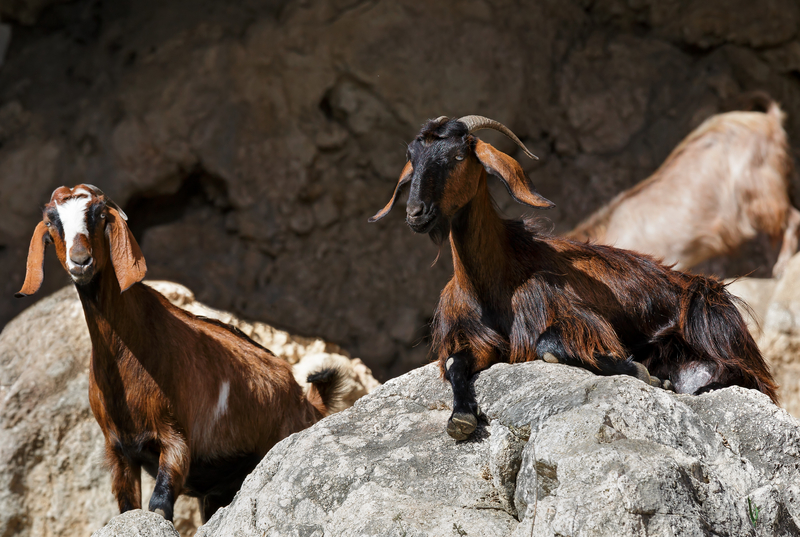 You can get further information on the feral animal control program and these trail closures from the Natural Resource Centre – Port Augusta. Telowie Gorge Conservation Park and Napperby Block (Mount Remarkable National Park) will be closed from 6am Saturday, 24 November 2018 until 11.30pm Friday, 30 November 2018. As the fire danger season has commenced, walkers should be aware that most sections of the Heysen Trail are already closed. However, as this section of the Trail passes through a National Park and a Conservation Park, walkers would normally still have access unless a total fire ban has been announced for the day. Therefore walkers intending to use these Parks in the near future need to be aware of this closure. For more information about the control program or park closure, please contact the Natural Resources Centre Northern and Yorke on (08) 8841 3400. Early seasonal closure of the Heysen Trail with Fire Danger season for Mt Lofty Ranges brought forward. Early start to the 2018-2019 Fire Danger Season means closure of the Heysen Trail between Cape Jervis and Tanunda. 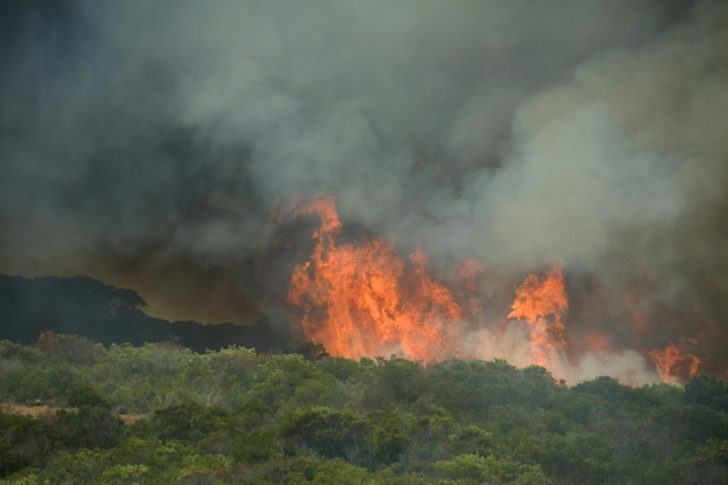 The SA Country Fire Service (CFS) has declared an early start to the fire danger season for the Mount Lofty District. As a result the trail south of Tanunda will now close on Saturday November 17th, 2018. Previous announcements resulted in the the trail north of Tanunda being closed to walkers since 1 November 2018. Therefore, the entire length of the Heysen Trail from Cape Jervis in the south to Parachilna in the north, will be closed from November 17th. The Heysen Trail south of Wirrabara will remain closed up to and including Tuesday April 30th, 2019. The Flinders Ranges Fire Danger season is expected to finish a few weeks early, so that at this stage the trail north of Wirrabara will remain closed until April 15th 2019. Walkers advised to monitor the CFS website for changes to the closure dates. However, as is always the case, these dates are subject to review and it is possible the trail closure may be extended. Walkers are advised to monitor the CFS website for any further announcements. During the declared fire danger season some sections of the Heysen Trail remain open to walkers. They are principally the sections of the trail that are not on private land. These include public roads, Conservation Parks and Reserves, Forests and vacant land. If you want to walk on the trail, check which Fire District you will be in. The Fire Districts are listed on the Fire Danger Season page of the Friends website. Details of the Fire Ban Districts can also be found on the Google map on the Friends website. We strongly advise you to respect the rights of landholders. Please restrict any activity which may increase the risk of fire in this period. Some sections of the Heysen Trail close early due to changes to fire danger season. Earlier start to the 2018-2019 Fire Danger Season restricts access to the Heysen Trail between Tanunda and Parachilna. 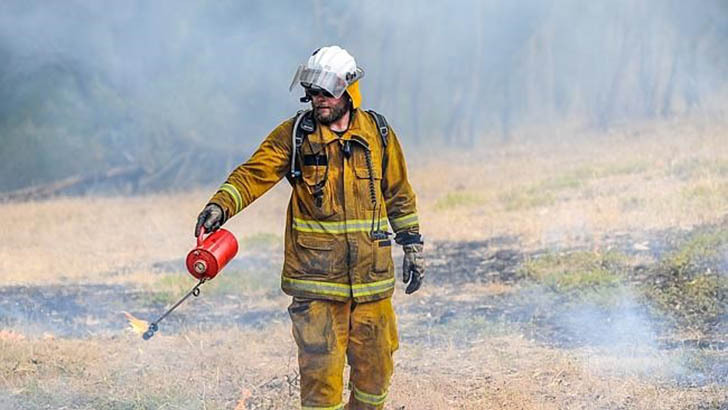 The SA Country Fire Service (CFS) has declared the Fire Danger Season will start early in the Flinders and Mid North districts. This means that access to most sections of the Heysen Trail north of Tanunda will be closed to walkers earlier than expected. A dry winter and increased temperatures for spring has brought the fire season forward in these areas. At this stage there has been no announcement for the Mt Lofty District so the trail south of Tanunda remains open for the present. However you should check the CFS website for any further announcements. Flinders District Fire Danger Season to commence on October 22. The Flinders District covers the Heysen Trail north of Wirrabara (near Laura). The trail in this section includes Melrose, Wilmington, Quorn, Hawker, Wilpena Pound, the Ikara-Flinders Ranges National Park through to the northern end of the trail at Parachilna Gorge. This section of the trail will now be closed between October 22, 2018 and April 15, 2019. Mid North District Fire Ban Season to start on November 1. The Mid North District includes the trail between north of Tanunda and south of Wirrabara. The Heysen Trail between these locations will close on November 1, 2018 and reopen on April 30, 2019. Details of the Fire Ban Districts can be found Google map on the Friends website. Yellow-footed Rock Wallaby at Buckaringa Wildlife Sanctuary in the Flinders Ranges. The Buckaringa Sanctuary will be temporarily towards the end of August. As the Heysen Trail passes through the sanctuary, we advise walkers to consider the closure if planning to walk in the area. Friday evening 24 August to Monday morning 27 August 2018. The closure is because the Australian Wildlife Conservancy (AWC) will be undertaking feral animal control in the sanctuary. The sanctuary is home to many Yellow-footed Rock-wallabies. The sanctuary is located between Quorn and Hawker. 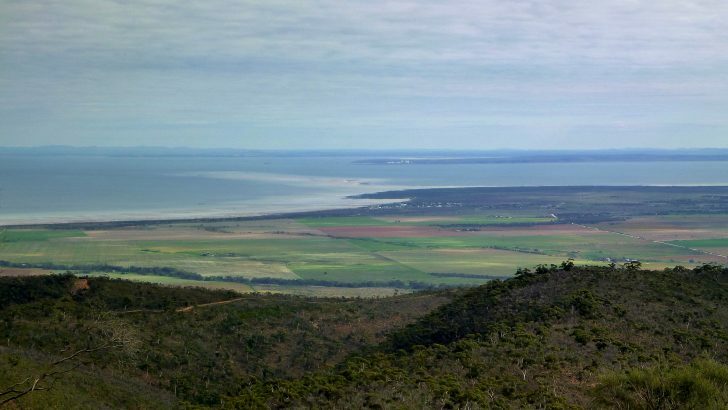 You can find it on map 6, chapter 4, of the Heysen Trail Northern Guidebook and on Sheet Map 7b – Dutchmans Stern Conservation Park to Mernmerna Creek. AWC will place closure signs at all entry points to the sanctuary to warn walkers of the danger. Heysen Trail closure near Calabrinda Creek campsite, Saturday June 30th. A section of the Heysen Trail near the Calabrinda Creek Campsite, will be closed to walkers for a few hours on Saturday June 30th 2018. Calabrinda Creek campsite is located between Buckaringa Gorge and Hawker in the Flinders Ranges. The purpose of the closure is to protect public safety during the running of the Auto One Port Augusta Rally of the Ranges. The rally will be run over many closed sections of road. We have been advised by the rally organisers that walkers will not be able to access a section of the trail between 11am to 3 pm on June 30. 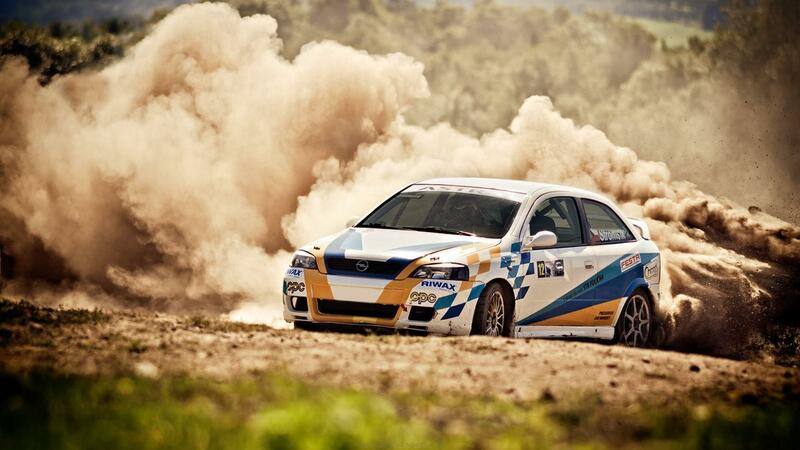 The rally is a competitive event, so the exact route will not be released prior to the day. However we know that the section of the Heysen Trail that will be closed will be along Barnes Road and may include the Calabrinda Creek Campsite. As a guide, the trail closure may extend from the western end of Barnes Road, Grid Reference 354 533, to Grid Reference 430 565, which is the point that the trail leaves Barnes Road and heads in a northerly direction. Rally organisers have advised us that all gates and roads in the vicinity will be patrolled to alert the public and walkers.. The Buckaringa Sanctuary will be temporarily closed this weekend. As the Heysen Trail passes through the sanctuary, we advise walkers to consider the closure if planning to walk in the area. Friday evening 15 June to Monday morning 18 June 2018.